The record-breaking holiday spending that began on Thanksgiving has spilled into this week. Cyber Monday blew the doors off of sales projections as consumers spent $7.9 billion in online transactions, according to Adobe Analytics. That's on top of $6.22 billion spent online on Black Friday and $3.7 billion spent on Thanksgiving Day. Amazon said Cyber Monday proved to be the biggest sales day in the company's history with more products purchased globally than any other day. It also said the five days between Thanksgiving and Cyber Monday broke sales records in terms of volume. “Black Friday and Cyber Monday continue to break records on Amazon year-over-year, which tells us that customers love shopping for deals to kick off the holiday shopping season,” said Jeff Wilke, CEO Worldwide Consumer. Amazon points out it was not just the only company that benefited from the spending. Sales by small and medium-sized businesses that sell through the Amazon platform grew more than 20 percent on Black Friday year-over-year. Among the weekend's best-selling items were Christmas lights -- a favorite of Prime members. The new Echo Dot, the memoir "Becoming" by Michelle Obama, the Amazon Smart Plug, and L.O.L. Surprise Series toys were also top sellers. Consumers continued to turn to their mobile devices to make Cyber Monday purchases and stores like Macy's and Target, which have spent heavily to upgrade their mobile apps, benefited in the form of increased sales. This year Walmart added store maps to its app in an effort to make in-store shopping easier for consumers. It also deployed roving checkers on Black Friday to make it easier for shoppers to check out with their purchases without standing in the checkout line. 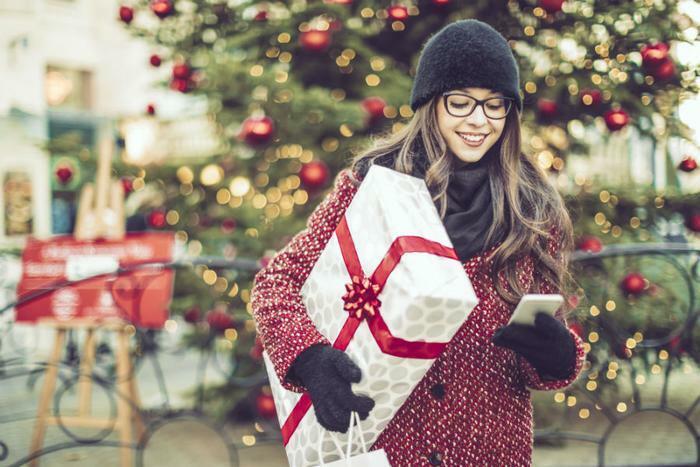 But mobile shopping appears to be the major story so far this holiday season. Adobe reports transactions made from mobile devices were up 55.6 percent Cyber Monday from last year to reach $2.2 billion in sales. Analysts say sales are off to a good start, as expected, this holiday season and point to a still-strong economy and confident consumers.